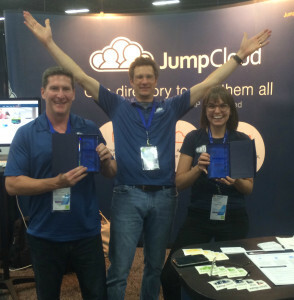 JumpCloud is honored to be announced as the Grand Prize winner of Interop 2015’s Best of Interop awards! We were proud to win our category (Applications) and then to be selected as the grand winner out of nine technology categories. Thank you to the panel at Interop 2015 for selecting us from such a qualified and exceptional group of finalists. Each category winner is making big waves in their industry and we’re humbled to be chosen from such an amazing group of companies. JumpCloud is the world’s first Directory-as-a-Service™, and is the single point of authority to authenticate, authorize, and manage the identities of a business’s employees and the systems and IT resources they need access to. We are pleased that the panel recognizes our vision to reimagine directory services.